Convenient Parking for the Minetta Lane Theatre is available at any of the Parking.com locations listed above. Click on the location for additional information like rates, hours and directions. 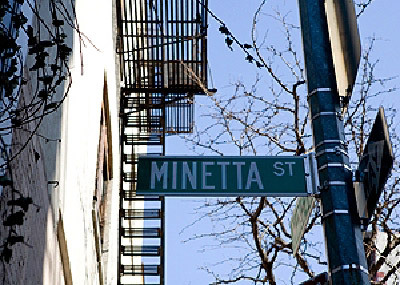 Minetta Lane Theatre is one of the featured Off-Broadway Theaters downtown's Greenwich Village. The new muscial Himself & Nora The Musical will start a limited run through Sept 4th, 2016. You can prepurchase parking at 18-20 Morton St. and enjoy the evening in this charming section of New York City. Find convenient Broadway parking for other Broadway shows and Broadway theaters in the NYC Theater District. Parking.com has over 125 NYC parking garages in the metro area! Find more Greenwich Village Parking or NYC Parking.